Don Valley Windows have been installing new bespoke Upvc windows, sash windows and doors in and around this area since we opened for business in 1991. We have many satisfied customers in both the trade and domestic market. Our windows and doors all come with a fully comprehensive 10 year warranty. 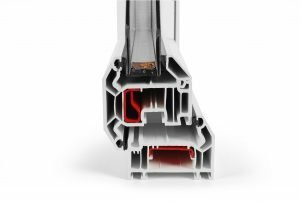 The uPVC range of windows are all manufactured using the VEKA matrix 70 system of profiles which now attract a full A rating. These are all installed and covered with the Certass Approved certificates. Every one of our Upvc windows we manufacture is individually designed and we can manufacture every window exactly to the clients own specifications. Glass designs ranging from intricate leaded detail, traditional lead designs or Georgian bar is also available to perfectly match you house style. Our VEKA uPVC windows can be manufactured with either double or triple glazed sealed units which carry a full twenty year warranty. Nearly all of our competitors only offer a ten year warranty on the sealed units. New colours and foil options are available making the exact requirements of our discerning customers more easily affordable and available on a shorter lead time. Call Sheffield 0114 2855 973 for a free quotation.